We've been collecting clothes all summer just for this! 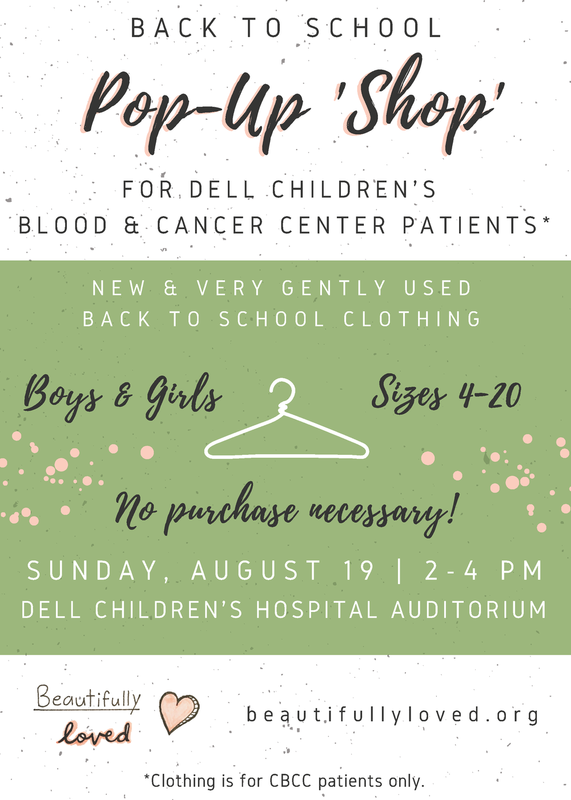 We heard a big need at Dell Children's Blood & Cancer Center is back-to-school clothes, so we wanted to help. This pop-up 'shop' is for these children to get clothing for school without having to worry about paying for it. The Auditorium is located to the left of the Main Entrance to Dell Children's Hospital.